To know that God cares about you even if things get messed up. Note. You may need to adapt this study to make it appropriate, as some of the content could be difficult for some children. The idea of this ice breaker is to start making something. Then it gets messed up, but instead of starting over again, use the mess-up to make it into something else. This does depend on you and your class talents. This could be a brush painting, a clay pot or a play-dough figure for example. So you don’t end up with what you said you were going to make, but you end up with something else which is still good. Ask, should we have given up when it went wrong? No, because something good was made anyway. Then say sometimes things don’t work out the way you want them to, and sometimes your life goes wrong somewhere. But this doesn’t mean that God will give up on you. He can use even your mistakes to make it into something good if you let Him. Ask if any children know the story of the ‘Prodigal Son’? If so, get them to relate it to the class, otherwise give a brief overview. The book of Hosea contains a story about a ‘Prodigal Wife’. Hosea got married to Gomer who was unfaithful and went out with other men and had 3 children with them and then got trapped by them. Read Hosea Chapter 3v1-3. God told Hosea to go and bring Gomer back even though she has been unfaithful. The story is a picture of Israel. How they were unfaithful to God, yet God brought them back again. Read Hosea 3v5 how the Israelites will return to God. Then the second part of Hosea 14v8. God watches over you and answers prayers. Tell the story of little Jimmy who made a boat. He sailed it across a lake. When he went to the other side of the lake to collect it, it wasn’t there. He was very sad about this. One day, he was passing by a shop and saw his boat in a window. He went it and said it was his. The shop-keeper said that he had bought it but Jimmy could have it back if he paid £5 for it. So Jimmy saved up his pocket money until finally he went to the shop and bought it back. Then Jimmy said, this boat is twice mine. I made it and I bought it. In the same we belong to the Lord twice. We have been made by God and Jesus paid the price for us on the cross. God can buy you back if you will accept Him as your saviour. 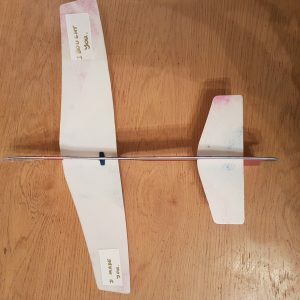 Buy a model airplane kit for each child and help then make their own plane. The idea of the plane is to reflect the thought of God watching over you. 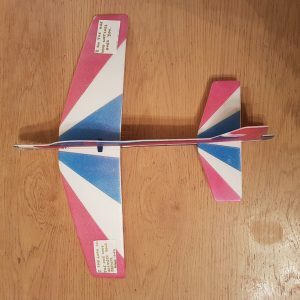 Have stickers to put on the planes. Hosea 14v8b “I the Lord and the one who answers your prayers”. Hosea 14v8c “I am the one who watches over you”.